The sky’s the limit for today’s Air Force women. The trail-blazing women who joined the Royal New Zealand Air Force in 1941 quickly made their mark. Sceptical looks gave way to significant respect as the WAAFs (members of the Women’s Auxiliary Air Force) snapped to attention, rolled up their sleeves and excelled at everything from traditional support roles of typist, medic and mess steward to ‘men’s jobs’ such as wireless operator and parachute packer. 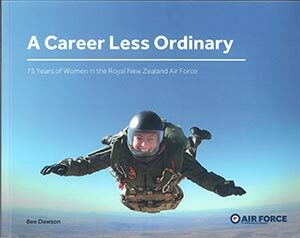 In subsequent decades women have continued to pursue exciting careers in the RNZAF. While some fly, maintain, load, and jump out of aircraft, others work as human resource managers, logistics specialists, physical fitness instructors, medics, intelligence analysts and air warfare officers. Equally at home in New Zealand or in far flung places around the globe, our Air Force women are truly remarkable.